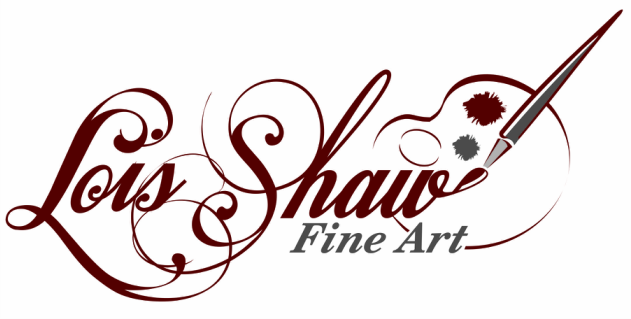 Lois Shaw is a professional artist from Douro-Dummer, Ontario, CANADA. She recently moved to this area in the Kawarthas east of Peterborough. She lives on a 55 acre farm with her Husband and four cats. The farm is leased to graze cattle. This provides constant inspiration for new paintings. Lois paints in primarily in oil concentrating on still life with other subjects ranging from landscapes and cityscapes to animal portraits. Her paintings are in private collections in Canada and the USA. Born and raised in Hamilton, Ontario, CANADA, Lois moved to Dundas, Ontario to raise her family. With the children grown and starting their own lives Lois and her Husband chose a quieter lifestyle, moving to the farm. She was introduced to art at an early age, being taught and inspired by her Grandmother who was an artist. Lois studied Technical Drawing in College and worked as a Technical Draftsman for twenty-five years before leaving the field to pursue her interest in Fine Arts on a full time basis. Lois works primarily in pastel and oils focusing on still life and cityscape subjects and the precision demanded as a Technical Draftsman has influenced her art. Through the interplay of light, shadow, and colour she creates a sense of drama in her paintings while representing scenes that will evoke an emotional response for the viewer. "I like to think of my work as realism with a sense of drama. Detail and control was so much a part of my drafting career and this carries over into my artwork. My studio work focuses mainly on still life while my landscapes and cityscapes are mainly plein air works. This requires a different style of painting from my still life paintings to capture the light and shadow in a limited time before they change. I like to incorporate architectural elements into my compositions. I would like the viewer to connect with the painting, hopefully inspiring some emotion. I try to convey to the viewer the sense of awe and joy I feel in the moment where the light, shadow, and colour connect."